Aside from being an incredibly fun word to say (we’ll pause while you try it out), glamping is a fun new way to enjoy the outdoors. A combination of glamorous and camping, this form of travel combines luxury with pine scent, the thrill of the hike with the allure of a comfortable bed. While everyone’s idea of glamping varies a little bit, there are a few characteristics that glamp sites share. First, they are uniquely structured in that they offer immediate access to the great and wild outdoors. Next comes the comfortable atmosphere of a hotel—they must offer hot water and a bed at the very least. Think yurt, teepee, treehouse, or extravagant tent. The average glamper is really anyone—honeymooning couples, families, corporate team builders, real estate moguls named Jason Hartman. It’s versatile because it combines a few different types of vacations, making it more universally appealing. Glamping generally happens closer to cities than other types of camping might, making it the perfect option for a weekend away. If you’re interested in such a trip, the first thing you’ll need to do is choose a geographic location. You can go for safari or pine forest—there’s really something for everyone. Next, decide on the level of luxury you most want. While all glamping offers an edge over more traditional camping, the pampering can vary greatly. 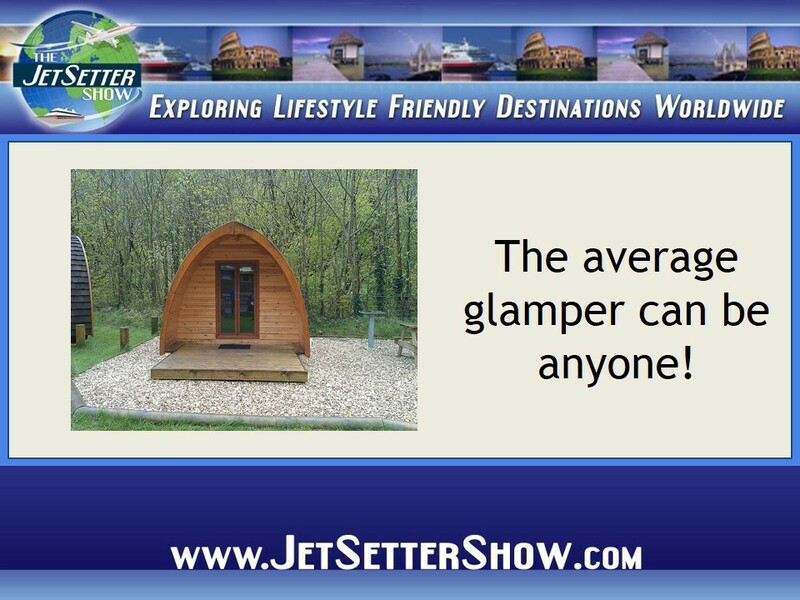 Some glampsites go for $60 per night and some for $2500—know what you’re getting into. And don’t forget to ask what sort of gear you might need. While many require nothing, you might need to provide bedding or bring layers for warmth. Always ask, lest you find yourselves without something essential to your happiness. Also, do a bit of research before you embark upon your glamping vacation. Sites like TripAdvisor will provide user reviews from others who have been there, and are also a great place to get suggestions for area activities. A little bit of research will likely go a long way. You’ll have a good idea about what to expect, what sites are best for what type of people, etc. Think about glamping as a vacation experiment and enjoy your little slice of luxury amidst the great outdoors!